Cookies and Cream has been my all-time favorite ice cream flavor since childhood! 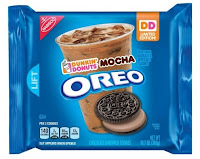 The other day my co-worker brought in two packages of Oreo cookies: Dunkin Donuts Mocha Oreo and Oreo Thins, both were completely inedible to me. First I don’t like coffee so a coffee flavored cookie is just wrong. And the thins are half the cookie and half the filling, why would you do that? My favorite ice cream brand Halo Top just announced that they've updated the Cookies & Cream flavor. 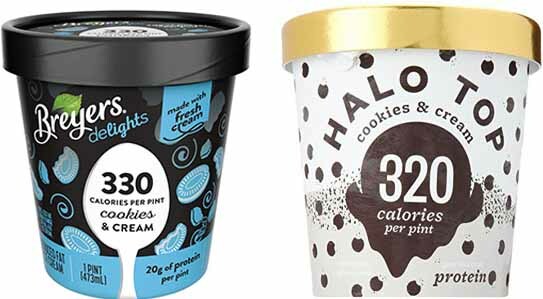 If you've never heard of Halo Top Ice Cream, it's a low-calorie, high-protein low-sugar ice cream that tastes amazing. 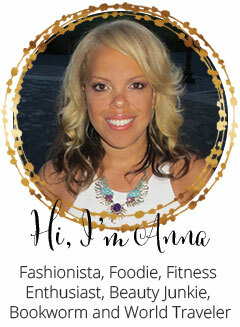 I talked about it here and reviewed their chocolate flavor. 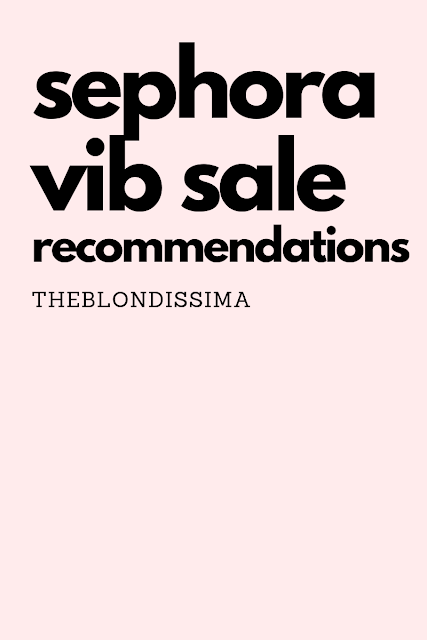 They only use social media to advertise and yet have grown 2500% in sales in 2 years! Hence no surprise Breyers is now copying them, even with their pint label design. Breyers Ice Cream recently released it's new Delights low calorie line. Both Halo Top and Breyers are sweetened with Erythritol, a natural sugar alcohol. Both pints of ice cream come in at about 330 calories and have 20g of protein. Which tastes better? 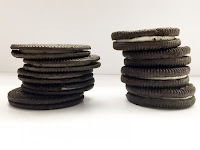 Well I did a taste comparison of the two Cookies and Cream flavors for you. Halo Top is made with eggs so it has an off white color while the Breyers has a pure white vanilla ice cream base. The Breyers has larger cookie chunks so you you can really taste the oreo cookie. But this comes with more grams of sugar than Halo Top. I wanted to share the label from their website but oddly all the Delights flavors don't have nutritional content on the Breyers website. They label the sugar content in a tricky, non-straightforward way. The Halo Top Cookies & Cream tastes really good, and if that's all you had you would be satisfied. But when you compare the two together against each other, there's a slight difference that crowns the Breyers the winner because it tastes more like real ice cream. While Halo almost, but not quite, tastes more like frozen yogurt. It's a very subtle difference probably due to the sugar difference. Halo Top also recently announced that it has released new flavors that I'm super excited to try! Mochi Green Tea, Pumpkin Pie, Cinnamon Roll, Candy Bar, Rainbow Swirl, Pancakes & Waffles, Caramel Macchiato and Chocolate Covered Banana. I found Breyers Delights and Halo Top at my local Safeway. I've also seen Halo Top at Giant, Whole Foods, Walmart, Aldi, Target, Costco and Harris Teeter. This wide spread availability must have prompted Breyers to enter the low-cal ice cream game, because let's face it they could have done this a long time ago right? What's your favorite Halo Top flavor? Cuba is quite the popular destination these days! 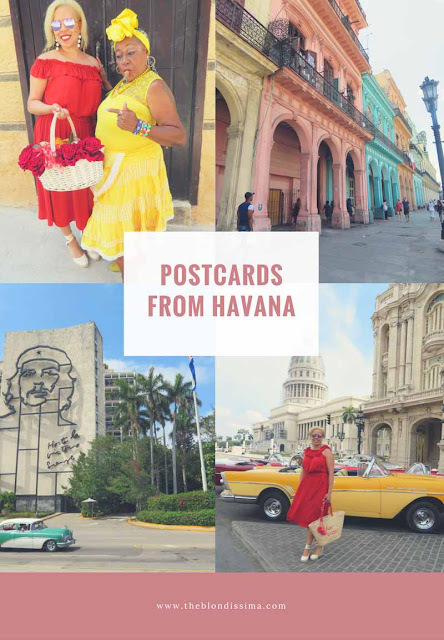 It's much easier for Americans to travel there (see my Tips for Travel to Cuba), but that may soon change as our President announced a policy change coming soon for Cuba so you should hurry up and go! I spent a week in Cuba in May with two full days in Havana, one day exploring the city for 14 hours straight!The first day started with a walking tour of Old Havana learning about Cuban history. I walked along the narrow cobblestone streets to see the colorful colonial architecture and many dilapidated buildings. I also enjoyed walking off the beaten path down narrow streets to people watch. Did you know that Havana has a population of 2.2 million people? Cubans pronounce their country as "Koo-ba". Cuba has been on my bucket list for a very long time and I finally had the opportunity to visit in May. 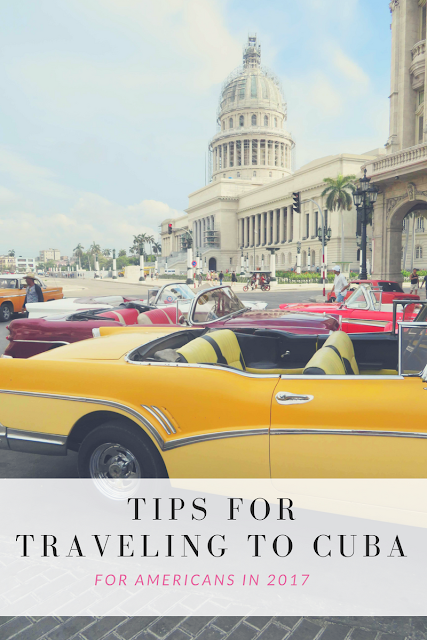 Being there is like stepping back in time, colorful vintage cars, salsa music, Cuban cigars, Havana Club Rum, colonial architecture, cobble stoned streets and Che Guevara image everywhere. It was everything I imagined. The beautiful island of Cuba area wise it’s roughly similar in size to the state of Virginia, hence it’s the largest island in the Caribbean and its neighbor Jamaica is only 1/10th its size. I spent one week traveling around Cuba visiting Havana, Cienfuegos and Santiago de Cuba and I felt very safe there.